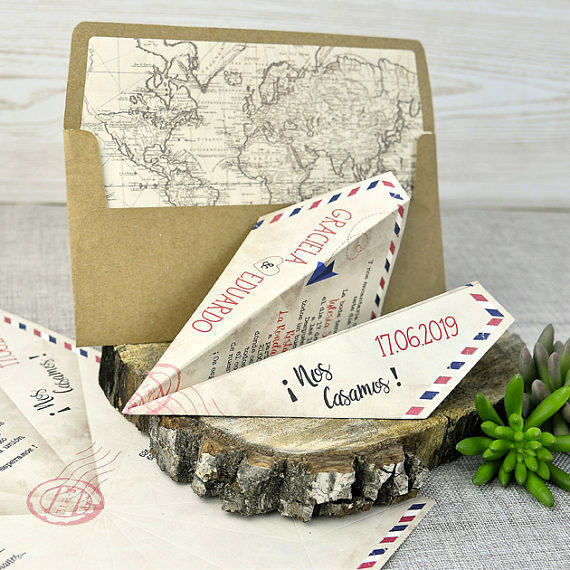 A destination wedding save the date is one of those details that takes on a new level of importance, precisely because you’re tying the knot away from home. They’ll give your guests a heads up so they can plan their trip, take time off work, save money, arrange babysitting and so on and so forth. But aside from all that, they play an important role in setting the tone for what’s to come and creating excitement among your guests. It’s the first impression and will either open the door or close it. It’s that important, so don’t mess it up. Your destination wedding save the date is the very first impression your guest will have of the celebration you’re planning. This is your opportunity to wow them so don’t mess it up! This page has some unique ideas to help inspire you! Disclosure: This post contains some affiliate links, which means that purchases made may result in a small commission to help keep Destination Wedding Details running at no additional cost to you. Click here for more info. How cool and unique is this? 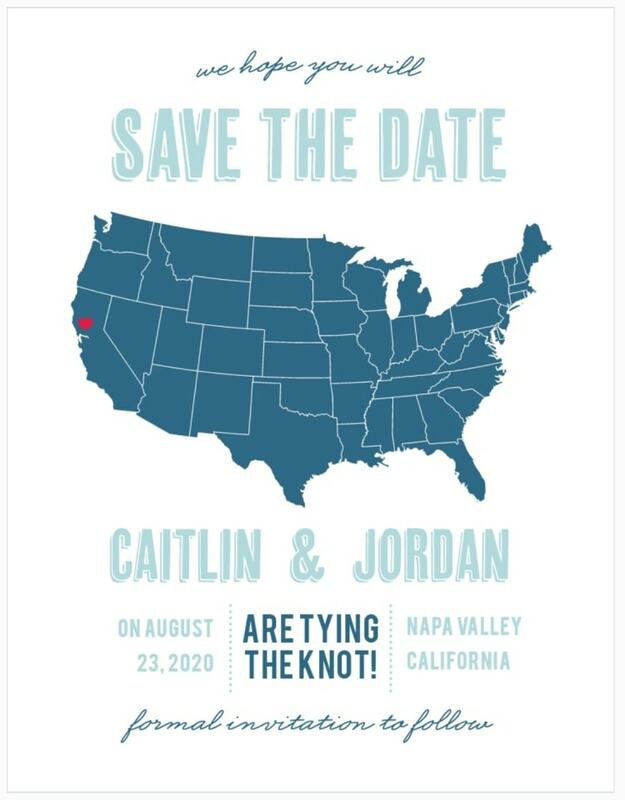 I know I’d be impressed if someone sent me this save the date for a destination wedding. 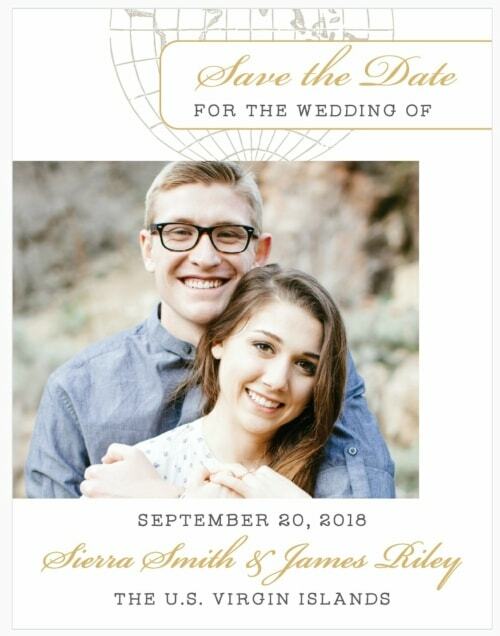 Not only would I save the date, I’d never forget it! To recreate this concept, all you’ll need is a dash of creativity and an engagement photo or a pic from that nice little digital camera of yours. I created the example above on Big Huge Labs to create the example above and it was really easy, free, and a lot of fun! I just uploaded an engagement photo, borrowed the tagline “behind every great love is a great story” from one of my favorite movies, The Notebook. And used the movie title “Once Upon a Time in Mexico” which is perfect for a destination wedding in Mexico. Then I had a little fun with the “credits” at the bottom. This is where you can put details like location, RSVP date, website URL and more. Just have fun with it! That’s all there is to it! Just upload the pic, type your wording, choose your font colors, and voila! You’re now the star of your own feature film! Not the DIY type? You can order a custom-designed 5×7 movie poster save the dates from Etsy. Remember the paper planes you used to make when you were a kid and bored in class? 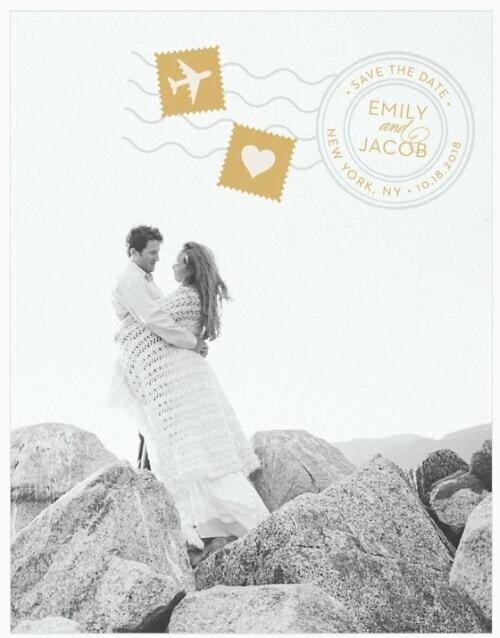 Who knew that one day they’d be the inspiration for your destination wedding save the date?! Not only will this idea inspire your guests to book their flights, it will stir some childhood nostalgia in the process. 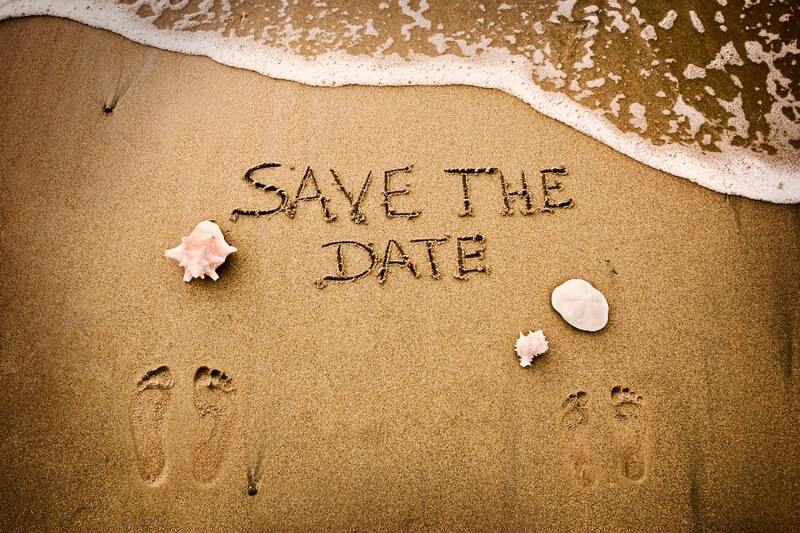 Chances are, your guests will be on board with your destination wedding when they receive this cool save the date! When I tied the knot, I created a set of multi-page boarding passes as my destination wedding invitations. 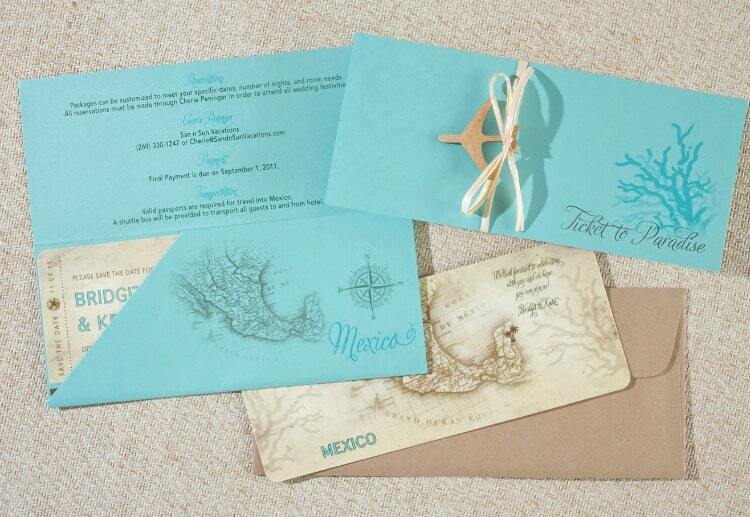 The concept can easily be adapted to a destination wedding save-the-date. Since there’s less information to communicate, you just need to mail out one boarding pass card with the date, location and trip information. Tip: For an extra touch of creativity and practicality, mount your boarding passes on magnets so your guests can stick it on their fridge door as a constant reminder to book that flight! This is another travel themed and budget friendly idea that will send your guest packing. I love it so much that I created a FREE template so you can do-it-yourself. Just customize it with your own background image, fonts and colors. Then just print and mail! The idea of postcards is not necessarily a novel concept, but they’re a totally appropriate save the date for destination weddings. 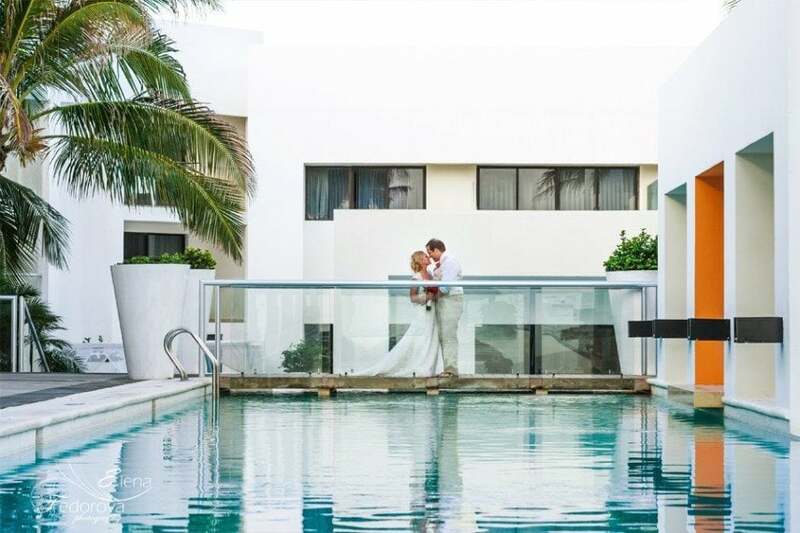 Skip the more traditional image of the engaged couple, and add a photo of the exotic location where you’ll be tying the knot instead. They’re really easy to make – just use a vintage image of your location, a gorgeous beach picture, or even a map. 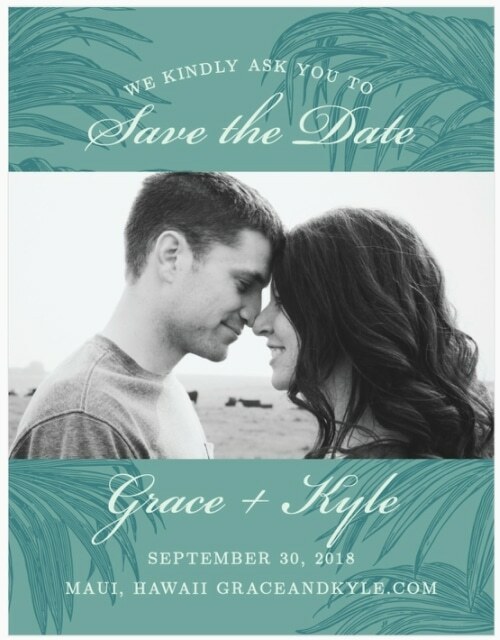 Zazzle has some great and affordable options – just click on the image below to see tons of postcard save the date options. 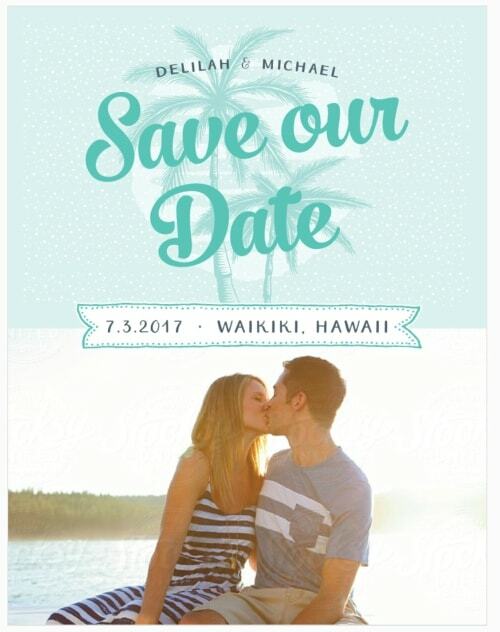 A simple, but perfect save the date for destination weddings. 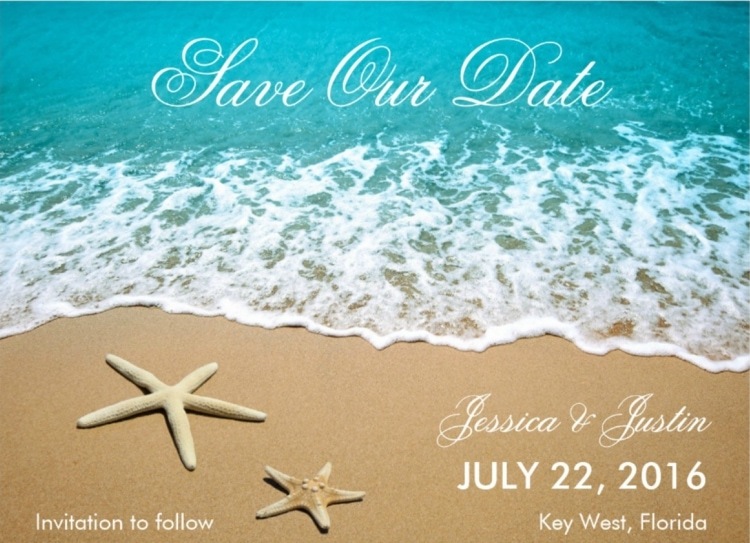 It’s so interesting when brides go beyond standard stationery and add some texture and beach theme elements to their wedding invitations or save the dates. 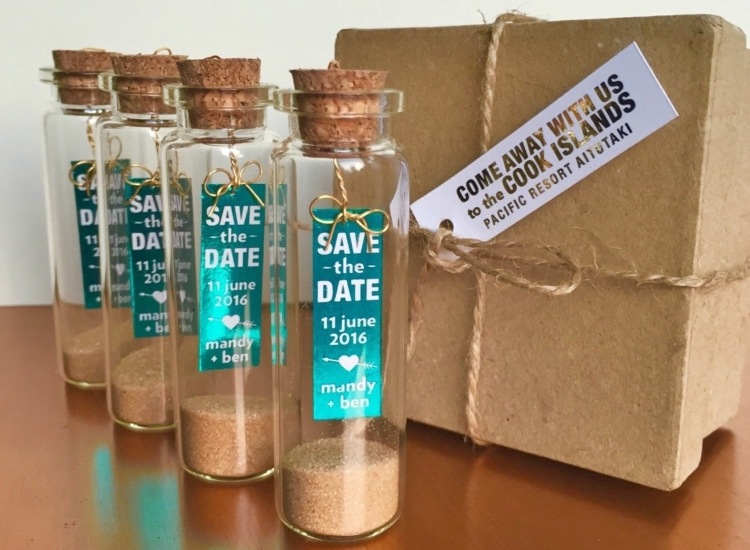 As I went on the hunt for something unique to share with you, I found these cool mini message in a bottle save the dates which are custom designed by A Little Small Talk. Each bottle includes sand and a tiny hand-foiled message delicately tied by a silver wire and attached to the cork. Each bottle can be sent in a small recycled kraft box wrapped with twine and a custom tag. These are so unique and can double as keepsakes for your guests. “Cool, I found the perfect stationery, but what’s next?” Ah, good question. Here are some answers to your most common questions. 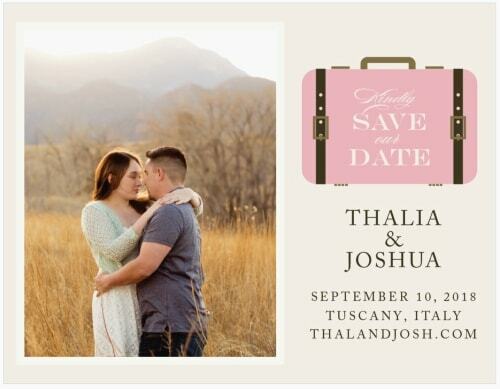 When should I send destination wedding save the dates? 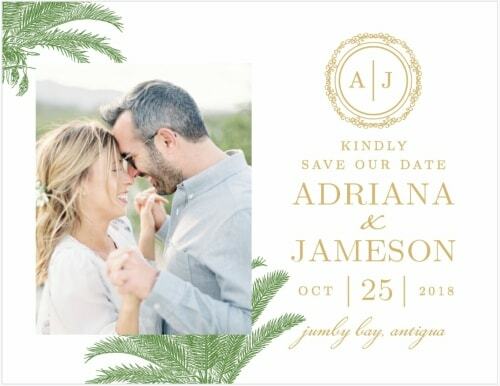 What wording should I include on my destination wedding save the dates? You can include as little or as much information as you want. 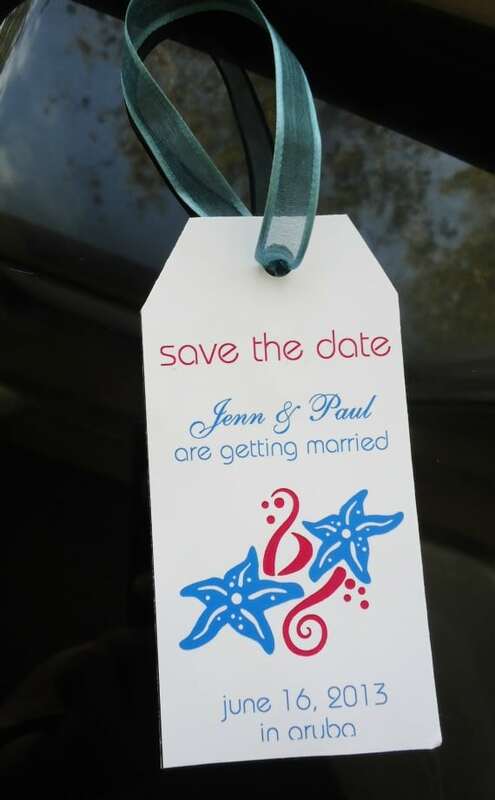 Traditionally save-the-date cards simply included the couple’s names, the wedding date, and location. But since guests need time to coordinate their travel plans, a destination wedding save the date calls for a few more details. 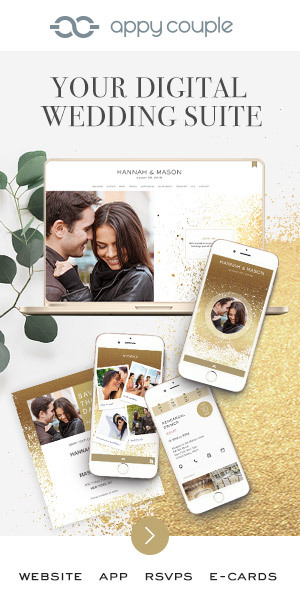 You can still keep the card short and simple, but make sure you include a link to your destination wedding website where they can get additional info such as itinerary, travel details, accommodations, etc. More: A review of the best travel and beach themed websites, PLUS a list of all the info you should include. 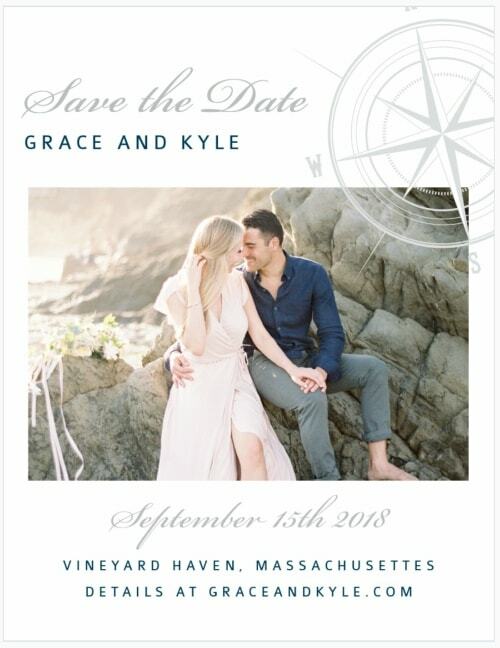 Do we have to print and mail a destination wedding save the date, or can we just send an email? The choice is yours but it can’t hurt to send both. If your goal is to have a good turnout at your celebration, you need to cover all your bases. Some people may receive a card in the mail, throw it to the side and forget all about it. But if they get an email with a link to your site, they might be more inclined to click through to view the details since they’re already online. On the other hand, if you only send an email you’ll be alienating the technically-challenged (i.e. grandparents or those without email access), so it’s always a good idea to also send it via snail mail as a backup. 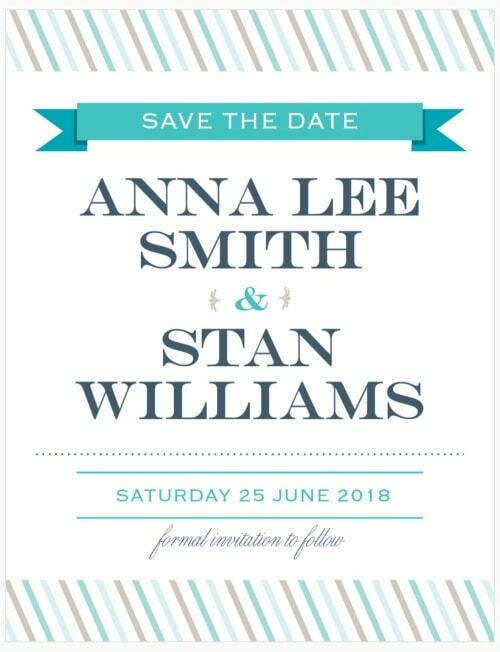 If someone received a save the date and notified me they are unable to attend, do I still need to send them a formal invitation? It would still be nice and some consider it common courtesy to send them an invite. 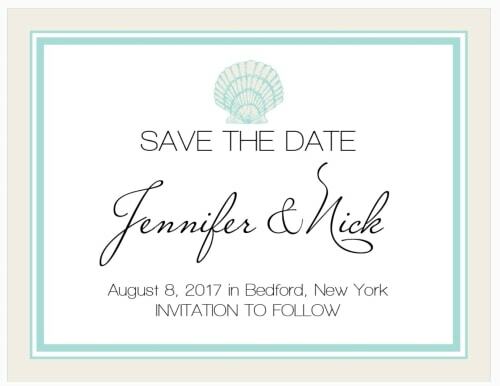 And who knows–they might get your super fabulous destination wedding invite and change their mind at the eleventh hour. Stranger things have happened! 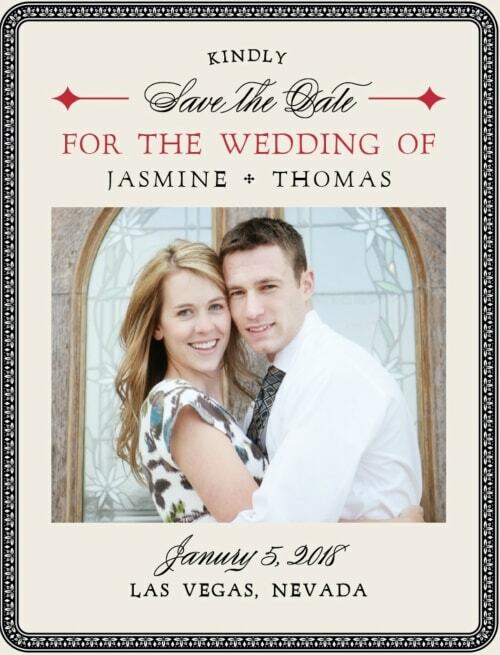 Below is a collection of some more of my favorite destination wedding save the date cards, sold by Basic Invite. I really love these cards because they’re printed on premium, high-quality cardstock so they look and feel luxurious without the big price tag. I also love that you can change the color of every single detail on the cards to your choice of over 160 different colors. You can match your wedding’s exact color scheme and instantly see a preview on their site. Check them out!